Named for the Bosco Verticale, a pair of residential towers in Milan, Italy, this ZZ plant can add some height and greenery to any space. 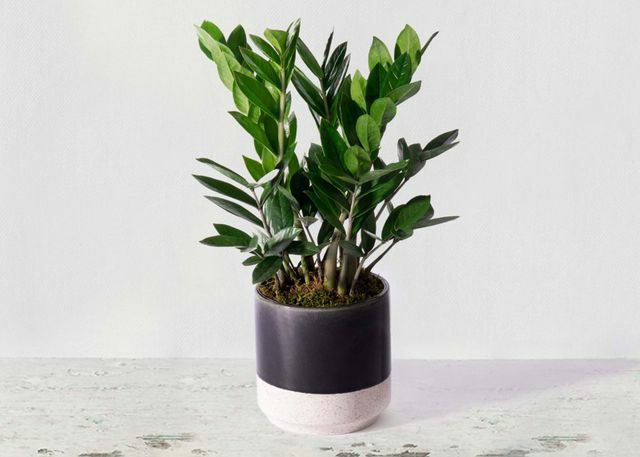 This ZZ plant is perfect for the houseplant novice thanks to its thick waxy green leaves that don't require much water. The best part? It doesn't require much sunlight, meaning it can be placed in a windowless room and still thrive. 6" ZZ plant in a 6.25" by 6.25" blue and white ceramic pot.